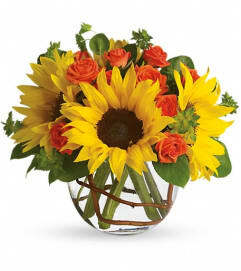 A traditional holiday goes high-style with gorgeous fall flowers in an elegant hand-blown art-glass vase that would grace any gallery. 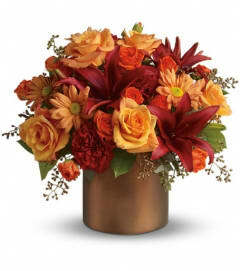 This breathtakingly beautiful keepsake, streaming with rays of autumn color, will bring years of joy. 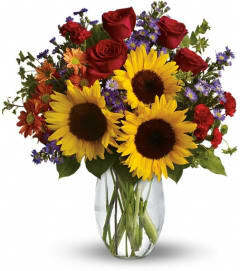 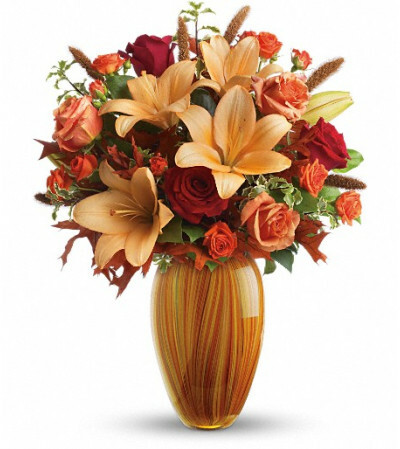 The vibrant bouquet includes dark oranges roses, red roses and orange Asiatic lilies accented with oak leaves and assorted greenery.